Book an unforgettable family vacation at one of these hotels in the nation’s capital. Washington, DC is a family-friendly destination, filled with free things to do and America’s most famous monuments and memorials. 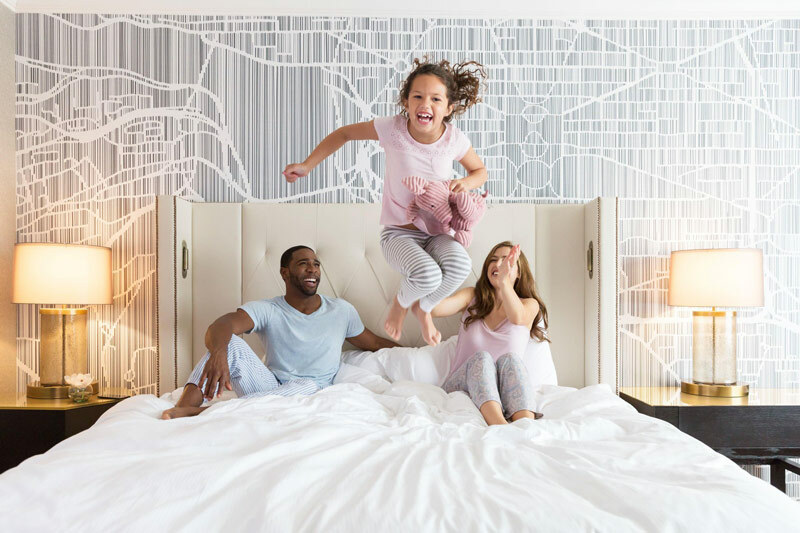 The city makes for an engaging and educational destination for the kids, and these DC hotels are sure to make your family’s visit that much more enjoyable. Find exclusive deals and discounts on hotels right now in Washington, DC. 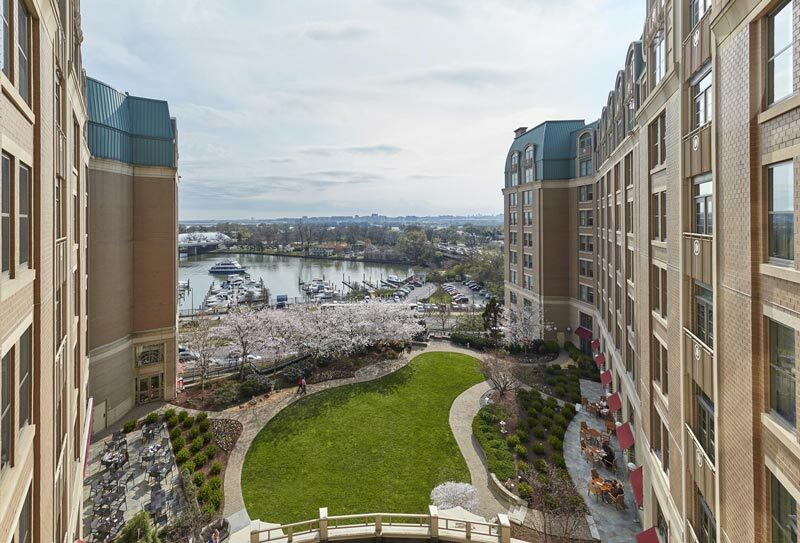 This extended stay hotel combines waterfront views, easy access to one of DC’s most exciting areas and proximity to its historic attractions. Spacious suites featuring kitchenettes and plenty of room for the kids make for the perfect home base as you explore The Wharf and its 20-plus restaurants and dynamic music venues. A day of history and grandeur courtesy of the National Mall and its monuments and museums is within walking distance. In the summer, enjoy Hyatt House’s rooftop pool. Washington Marriott at Metro Center is situated in the heart of Downtown amidst an array of restaurants, shopping and attractions. Capital One Arena is also within walking distance and nearby Metro Center means you’re a short ride away from many of the city’s other must-see neighborhoods. The family will also love the indoor pool after a day of exploration. This Hilton property in DC mixes style and convenience to perfection. 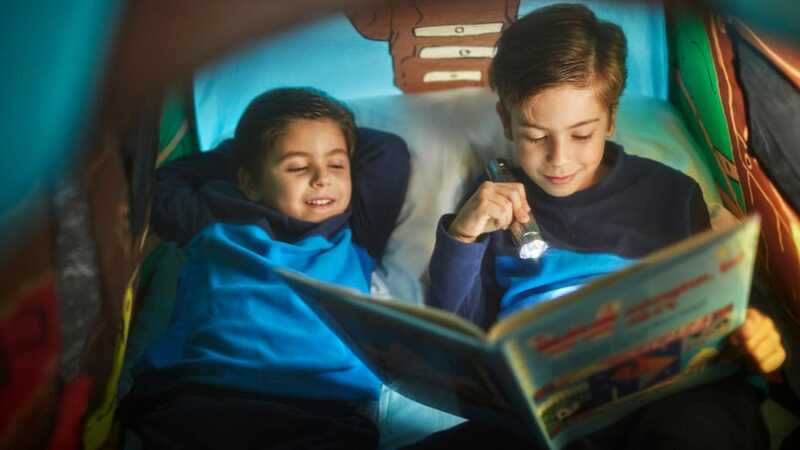 Treat the kids to the Capital Kiddos package, which adds ice cream, a play tent set-up and hand-made ice cream cookie sandwiches for up to four guests to your suite. Plus we can’t leave out the best part: the kids can choose from one of four Darcy Daypacks, which are curated itineraries (think “The Darcy Detective” and “Hip Historian”) that guide them through DC and its awesome attractions. Serene but still situated conveniently within the city, Washington Marriott Wardman Park has served as a home base for U.S. presidents and dignitaries in the past. The elegant locale is close to the Smithsonian’s National Zoo, a fact you can take advantage of using the hotel’s special Zoo package, which offers kid-friendly amenities like a plush panda, carousel tickets, a Zoo map, a Zoo scavenger hunt and a panda sticker. 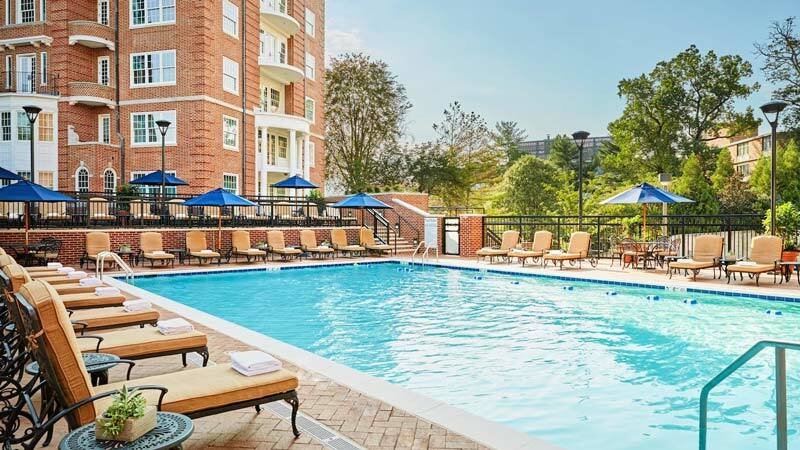 You can also explore the Woodley Park neighborhood during your stay and, during the warmer months, relax and play at the hotel’s gorgeous outdoor pool. 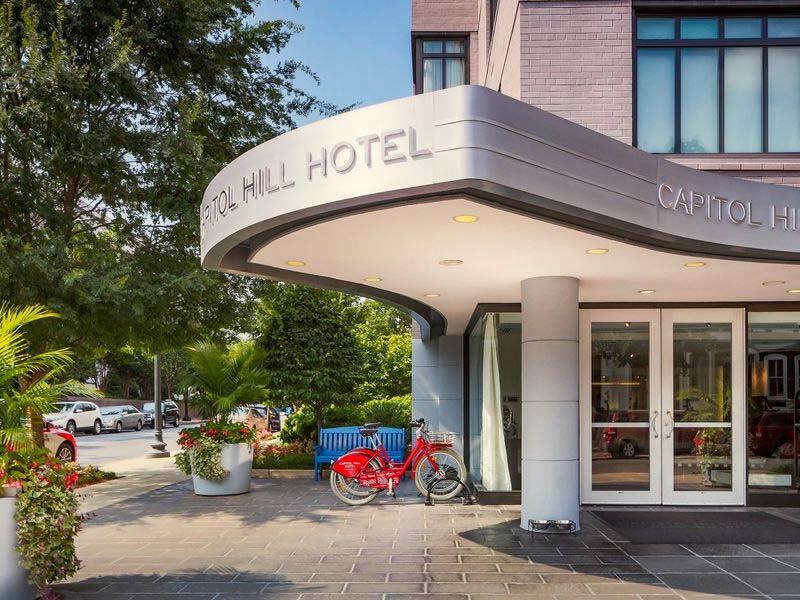 This classy and comfortable all-suite hotel offers an extended stay option, allowing families to discover DC and historic Capitol Hill to the fullest. Suites are equipped with kitchenettes and larger closets that allow for a longer stay, in addition to a work desk and spacious living area. The hotel also has a Capitol Kids program that adds highchairs, roll-away beds and games to your kids’ experience. This Four Diamond hotel sports style, luxury and a great locale for family exploration of the District. The National Mall is less than a mile away and the wonderful shopping options of Georgetown are also in close proximity. Fairmont also wants to make your panda experience at the National Zoo even better, offering a Panda Package that includes a Zoo Welcome Gift Box and a $10-per-night donation to Friends of the National Zoo’s Giant Panda Conservation Fund. 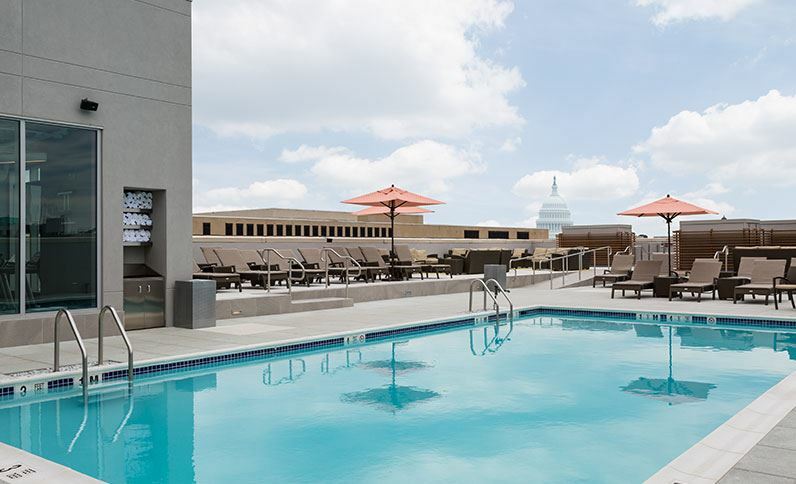 Comfort and convenience are at the top of the list when you book a stay at the Holiday Inn Washington, DC – Capitol. The National Mall is just a short walk away, where you can see historic monuments like the World War II Memorial and the Lincoln Memorial. Kids of all ages will be educated and amazed inside the Smithsonian National Air and Space Museum, while the smaller ones (ages 0-6) can have lots of interactive fun at Wegmans Wonderplace inside the Smithsonian National Museum of American History. 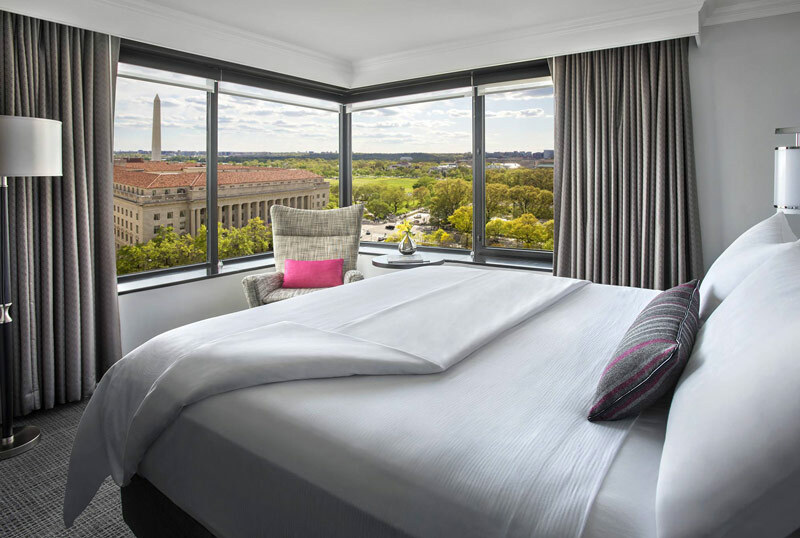 Located in the Southwest Waterfront and within walking distance of the National Mall and the cherry blossoms of the Tidal Basin, the Mandarin Oriental brings pure refinement to your family getaway to DC. The 50-foot indoor swimming pool will make the kids jump for joy, and if/when the adults get some relaxation time, they can step into pure bliss at the hotel’s spa. 9 Four Seasons Hotel, Washington D.C.
One of DC’s premier hotels resides on Pennsylvania Avenue and gifts charming views of Georgetown and the C&O Canal. 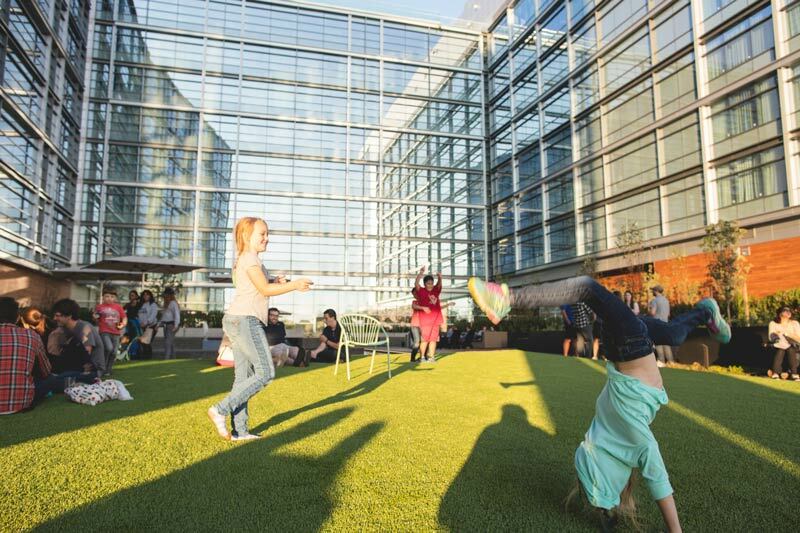 Four Seasons is also all about families, providing all kinds of amenities for kids and child care, including board games, baby monitors, bottle warmers, strollers, diapers, children’s organic bath amenities, sports equipment and more. There’s also a Kids Concierge that can help make sure the kids have their absolute best day in DC. 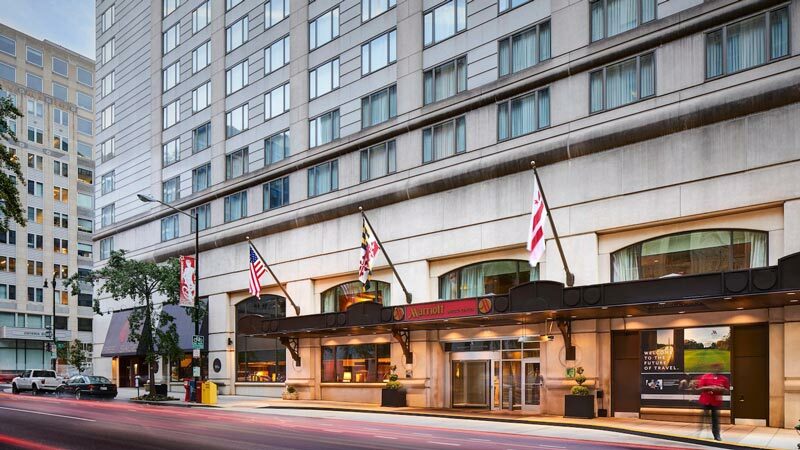 Another Pennsylvania Avenue gem is the JW Marriott Washington, DC, well within walking distance of the White House, one of DC’s most popular attractions. The luxurious Marriott is also near the National Theatre, where you can see outstanding performances, as well as the National Portrait Gallery, home to a gallery of Presidential Portraits. 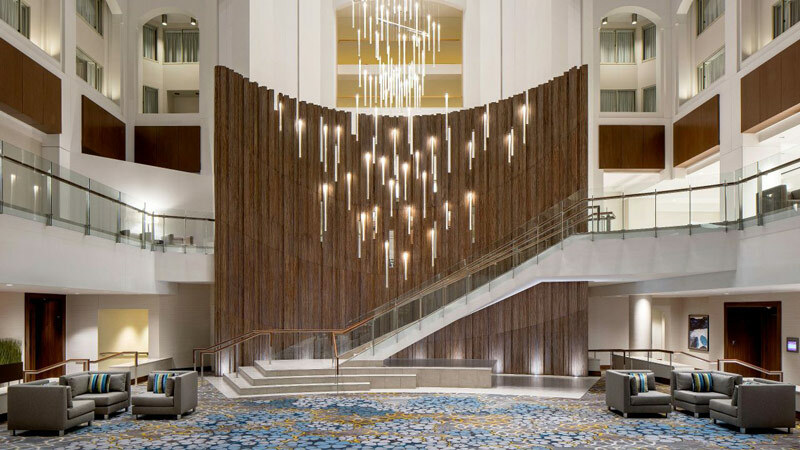 With direct access to Metro Center, Grand Hyatt Washington makes your family quest across DC easy. The hotel’s beautifully outfitted rooms only add to its charms. A quick Metro ride will get you to the National Mall, and you won’t even need to take the train to go to Capital One Arena to watch the Stanley Cup champion Washington Capitals play. CityCenterDC is also close by, a scenic destination for luxury shopping.